The US government has treaty obligations for tribal health. In many ways, the system is failing its Indigenous peoples, but tribally led solutions are overcoming some of those systematic barriers. In the 1950s the average age of death for a US native person was 56 years old. Native American tribes were dependent on the federal government and inadequate health systems combined with extraordinary poverty led to indigenous communities losing their elders in middle age. The last 50 years have been an era of growth in tribal sovereignty and self-determination, and this has given rise to many tribes taking over their health care delivery systems. Today we see a dichotomy in the health outcomes affecting tribal peoples between the innovation of tribes versus the continued failed system of the federal Indian Health Service. 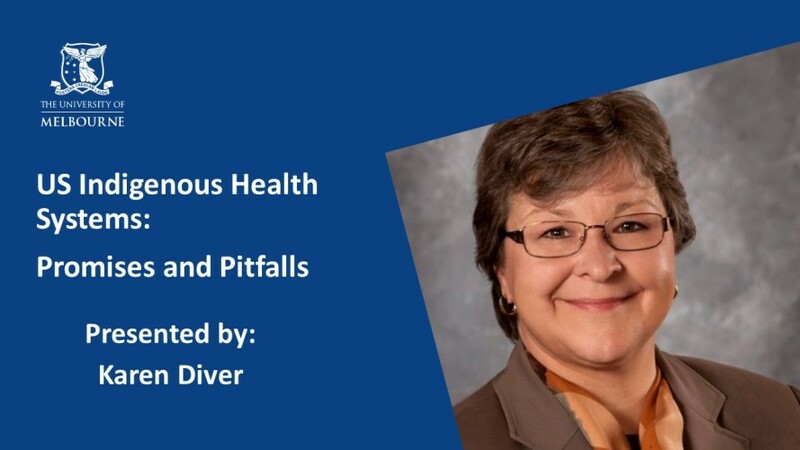 Join Karen Diver as she discusses the promises and pitfalls of indigenous health systems.